When you rush home from picking up a copy of EA Sports’ Madden NFL 13, you might notice a familiar face from Bleacher Report analyzing your roster moves in the Connected Careers mode. That face will be mine. Back in June I received an email from a guy saying he was the creative director for EA Sports and that he was working with the virtual Twitter aspect for the new Madden game. My honest reaction was that someone was messing with me. A quick Google search proved that Michael Young is in fact a creative director at EA, and that they really wanted my virtual analysis for the new game. When you’re running your team in this year’s game—whether that’s reading scouting reports on a draft pick or just checking the news wire—you’ll see virtual Twitter feeds from me and from other analysts, breaking down every aspect of the Madden environment. So, what every B/R writer wants to know: How does one go from independent website owner to Madden virtual analyst in a year and a half? I wish I knew the answer, honestly. The best advice I can give anyone is to work hard every single day to get better at what you do. My niche is the NFL and NFL draft, and I spend every day (even weekends) working to become smarter about the game and more familiar with individual teams, and to network with fellow writers who can help spread the word about what I write and about Bleacher Report in general. The moral of this story is that anyone reading this blog post could be next. There’s nothing stopping Aaron Nagler from being in Madden NFL 14. Ethan Strauss could be tweeting about the NBA Draft in the next NBA2K game. The days of B/R being taken for granted are over. If you haven’t bought into that yet, it’s time to get on the train, because it’s leaving the station in a hurry. The fact that Turner Broadcasting, EA Sports and many other prominent outlets are noticing us speaks volumes about where B/R is as a brand. The flip-side to that is we are all carrying the torch for B/R’s reputation, now and in the future. Something to think about every time you fire up your Word doc to write an article. When I stumbled upon Bleacher Report way back in late November 2010, I had no idea that in such a short time so much could happen. Becoming a Lead Writer for B/R was my previous career high, and it’s still a badge I wear proudly every day when I sit down at my desk and “clock in” to work. Without the support of Dylan MacNamara, Collin McCollough, Dave Finocchio, Joe Yanarella and so many others, I know that without a doubt this opportunity would have never happened. Any success that I have, or that you have at B/R, is a testament to the genius at work behind the scenes making us all look good. As our president would say: I didn’t build this alone. Congrats, Matt! I enjoy your tweets as I do enjoy your analyses on B/R. Keep up the good work and enjoy your maddenness, you earned it! I always knew you were gonna do big things man. Even back in the NFL Draft Almanac days. 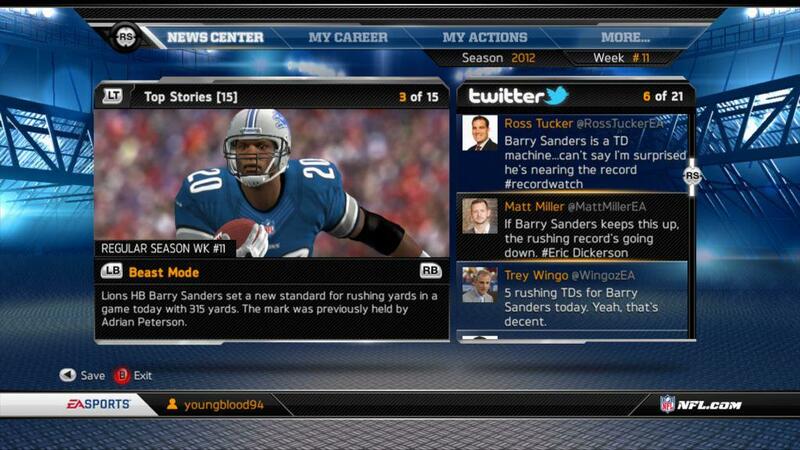 Bleacher Report writers in the Dallas area: You can meet a real-live piece of Madden 13! Matt Miller will be joining us at the Dallas Writers Meet-up on Friday, Sept. 14 at Frankie’s Sports Bar in Uptown from 6 to 9 pm. To RSVP, leave a comment here or email me at king at bleacherreport dot com. Extra props for the reminder to write in Word first! But seriously, great advice, Matt. Will recommend all writers read this.